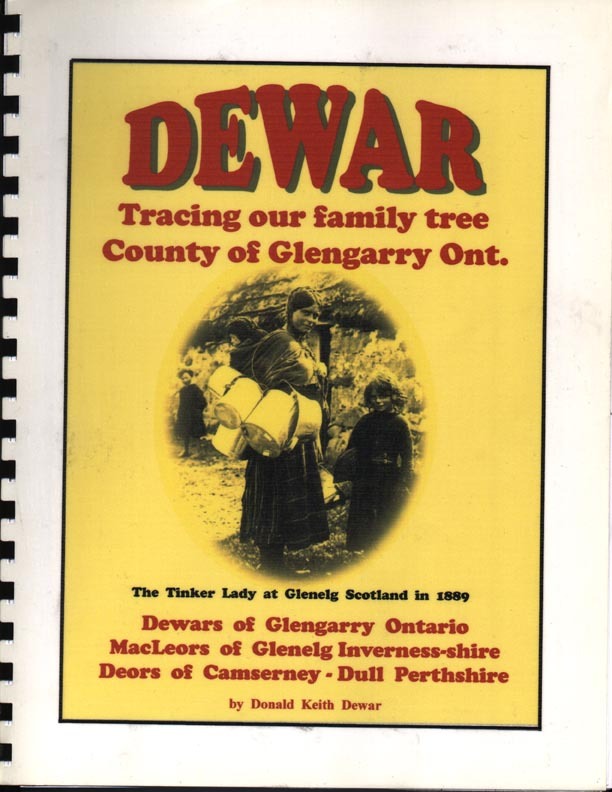 Dewar,-- Tracing Our Family Tree, County of Glengarry Ont. 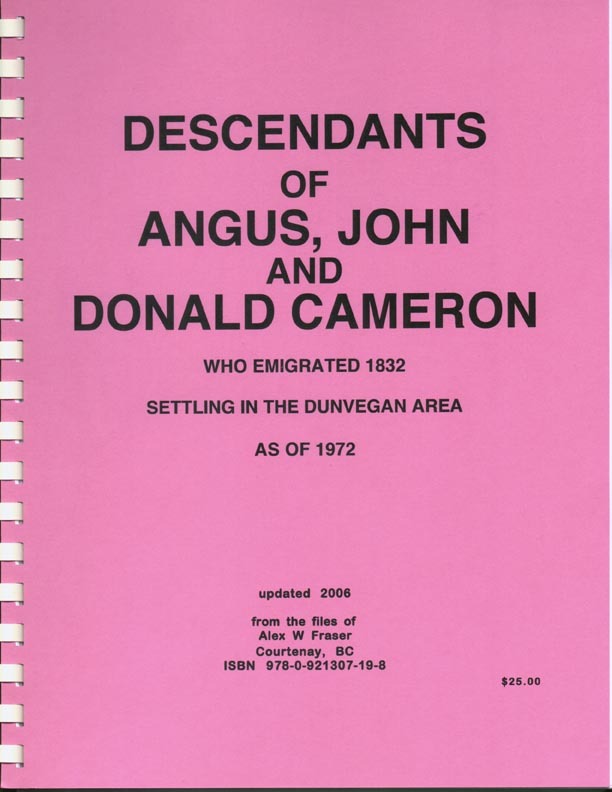 Click on Dewar book Cover image at left for Table of Contents to 5th Edition. Interested in obtaining a copy. 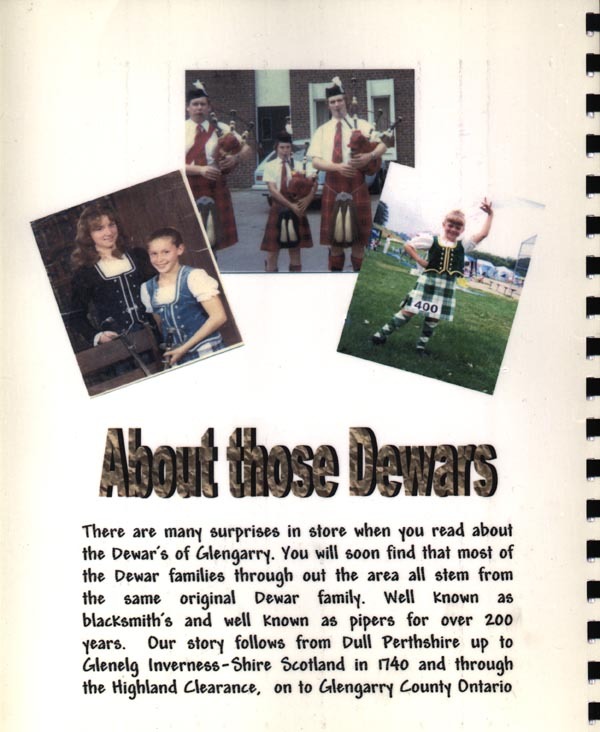 No charge for copy of this book, but a donation to cover shipping and printing costs in memory of Donald Dewar who passed away December 2006 would be welcomed. This donation will help those interested in obtaining this excellent work by Donald Dewar in the future. Alasdair Macrae has all of the research now and is continuing on the reseach and book.